Today, there are 259 Accountable Care Organizations (ACOs) that represent 8 percent of the Medicare population. Nearly half are physician-led according to The Advisory Board Company and at least one ACO exists in every state. As many as 4 million beneficiaries are now covered by an ACO  with more growth expected by the end of 2013. With this in mind and as the Affordable Care Act is in implementation mode, how you manage your homecare business will need to change. Moving to a new reimbursement model based upon outcomes, not services rendered, the accountable care model now aligns incentives in a patient-focused way. Homecare businesses needed to focus on building their value on coordinating flawless care transitions, how in-home care prevents hospital readmission and hospital-at-home programs. There are many home care agencies that are partnering with major insurers and hospital systems to set up care transition programs that include both clinical and non-clinical services. An important of your homecare business is to increase your referrals, deliver good patient care, and keep patients at home at a lower cost. If you join an ACO, do those same goals align with your business objectives? 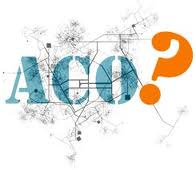 This is one question to consider as you investigate joining an ACO in your community. As managing population health, moving to automated clinical and financial management is essential to your business health. You have in hand huge amounts of patient data  both clinical and financial  a powerful analytics tools are needed to manage that data into actionable and meaningful items. These are your business challenges: making good use of your data to help you increase referrals, potentially join an ACO, and help patients recover from hospital stays with good outcomes and satisfaction. Lastly, after all these objectives are met or exceeded, this will enable you to quantify and demonstrates your value to partners and potential partners. Home care software for scheduling, billing and point of care automation can assist your home care business in moving forward with the business model changes by facilitating improved care quality and true agency automation.